The law was found unconstitutional by a federal court last year, but state Attorney General Brad Schimel appealed, and the US Supreme Court allowed the law to stay in effect until the case was decided. But in June, the 7th US Circuit Court of Appeals dismissed the lawsuit  on the grounds that the plaintiff, Tammy Loertscher, had left the state. Loertscher was by no means alone -- hundreds of pregnant women have been accused of "unborn child abuse"  under the law -- and the dismissal of the case means pregnant women in the state remain in jeopardy. At the time of the dismissal, attorney Nancy Rosenbloom, director of legal advocacy for National Advocates for Pregnant Women  (NAPW), decried the ruling. Now, Rosenbloom and NAPW are taking the fight to a new arena: the court of public opinion. They have joined forces with a three-year-old national group, Reproaction , to take on the law. The group is forthright about what it wants: "Reproaction is a new direct action group forming to increase access to abortion and advance reproductive justice. We are proud of our left-flank analysis, and are not in this fight to protect the past or maintain the status quo," the group says on its web site. 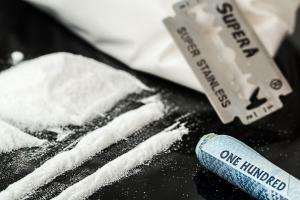 This article was produced by Drug Reporter  , a project of the Independent Media Institute.